Crystal chandeliers for hire in Adelaide! We are super excited to announce that we are now hiring real crystal chandeliers for events. We have had many requests over the years from clients for something that really creates that big decorative impact. The market in Adelaide was somewhat lacking when it came to big ticket items being available for hire due to the logistics of moving such large and delicate items around from venue to venue. We decided to take on the challenge, and with many many hours of hard work from our technicians, some creativity when organising a road case and a lot of love hanging hundreds of crystals – our newest additions are ready to go! The star of the show has to be the HUGE Anna Maria chandelier, which measures a whopping two meters in diameter and is adorned with hundreds of gorgeous Cristocia diamond cut crystals. This beauty will be right at home at larger events where a feeling of luxurious elegance is paramount; a versatile style allows her to represent a whole range of different themes from traditional elegance to modern glamour. The largest chandelier available for hire in South Australia, she is quipped with 48 lights and can create the ‘wow’ factor all on her own (and will be sure to create a talking point amongst your guests). Not enough bling? 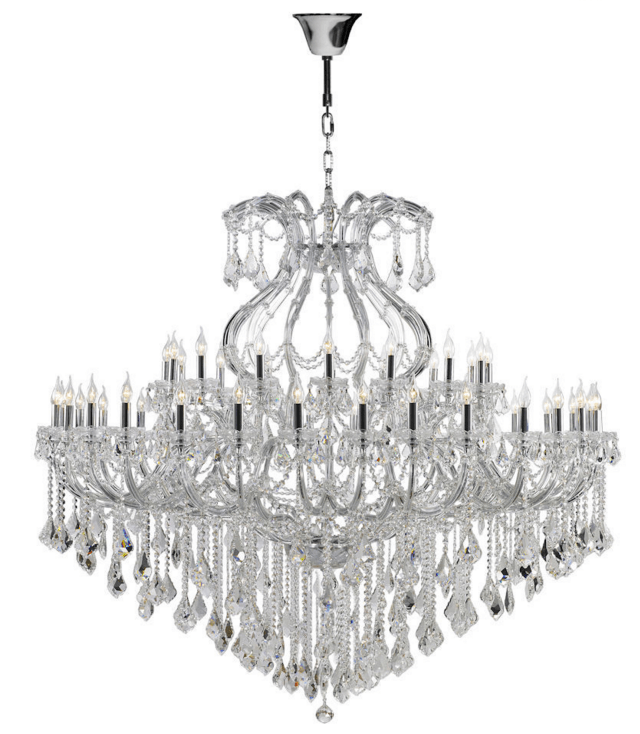 Pair the Anna Maria with our intelligent lighting and watch the entire room sparkle. We have also added four Mini Maria’s to our collection which can either be used in conjunction with the Anna Maria to fill a large space, or on their own for smaller functions. The smaller chandeliers can go into any venue in Adelaide, they are more light-weight than the Anna Maria and can even be used in marquees. If you have an upcoming wedding, don’t miss the chance to book these in to create a feeling of true luxury and romance in your chosen venue. Why are these chandeliers different? 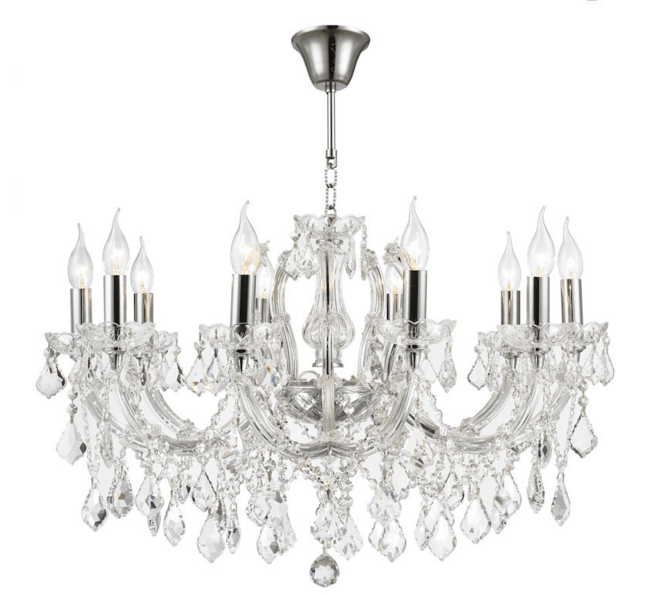 It is very common to see cheaper chandeliers that are tagged and advertised as crystal but are actually made of acrylic, these products generally have very minimal light refraction so that the end result is very dull. Our chandeliers are hung with real Cristocia diamond cut crystals that are of an extremely high quality and offer a stunning light refraction for real sparkle. When hit with light, the crystals give off an impressive array of rainbows and twinkling lights that will set the scene for any luxury event during the day or night. All of our chandeliers have been passed through our rigorous safety standards are are fully rated and threaded to ensure that they are 100% safe for hanging overhead. Call us today to discuss our chandeliers at your next event!